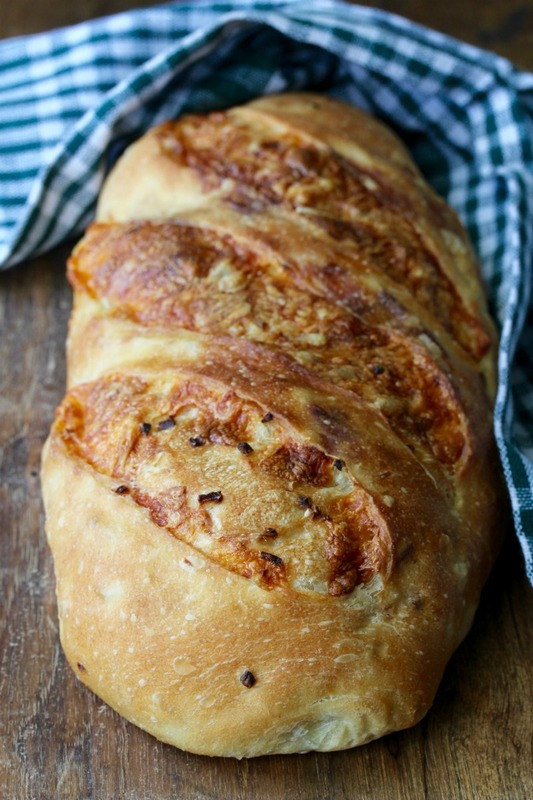 This Crusty Cheese and Onion Bread, with its crispy and cheesy crust and soft savory interior, is totally captivating. I took one of the loaves to work, and it disappeared immediately. One of my favorite "foods" is burnt cheese. If you are with me on this, you will love this bread. It was really hard not to pick off every last bit of it. The cheese is rolled up into the dough, kind of like cinnamon swirl bread (only with cheese), and the cheese just oozes out of the slashes on top as the bread expands in the oven. 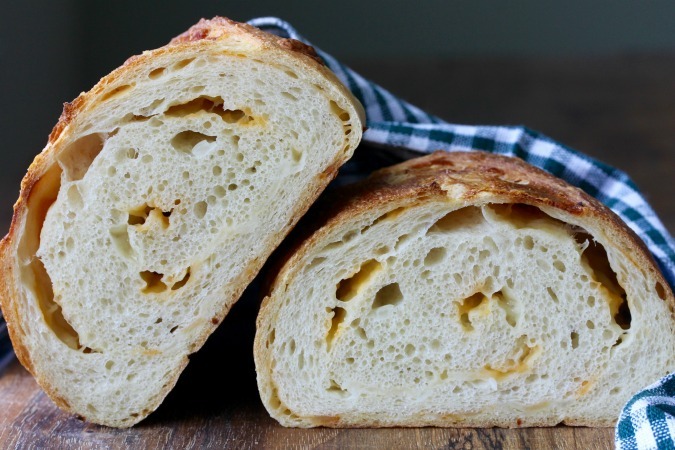 This bread uses a sourdough starter to develop flavor. The final dough also includes some instant yeast, so you don't have to totally rely on your starter for the dough to rise and you still get that faint sourdough tang. The dough for this bread can be made up to four days in advance, and then shaped and baked at your convenience. This bread also freezes very well after baking. For the cheese, I rummaged through my fridge for whatever cheese I had on hand, and used a combination of bits of mozzarella, gruyere, and cheddar (mostly gruyere) and was really happy with the results. As long as some of the cheese you use is "melty," any cheese will work. I also used a sweet onion for the onion component. Feel free to experiment with red onions, scallions, chives, or even caramelized onions. Mmmmmm. Mix the starter ingredients and let sit, covered, until nearly doubled. Either use immediately or refrigerate up to 4 days. To make the dough, break up the starter into pieces and combine with the water, milk, yeast and honey. Stir until fairly mixed. Add the flour and salt except and knead with a dough hook for 5 minutes on low. Let sit for 5 minutes. Knead on medium low for five minutes more, adjusting to achieve a tacky but not sticky dough. Add the onions and mix for about a minute on low. Place the dough into an oiled bowl, cover, and refrigerate overnight or up to 4 days. If you plan to make the loaves on different days, divide the dough in half before refrigerating. On baking day, take the dough out of the refrigerator and let sit for about 2 hours. Divide the dough in half on a lightly floured surface, and gently press the dough into two 8 by 12 inch rectangles. 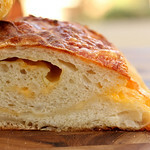 Spread the cheese over each half and roll up the dough like cinnamon bread. Seal the seam and shape the dough into a batard or baguette. Place the loaves on a parchment lined baking sheet, spray with oil, and cover with plastic wrap. Allow to rise for about 90 to 120 minutes. They should be puffy. (If the loaves are too big, you might have to use two pans). Place a baking stone on the middle rack of the oven and preheat the oven to 450 degrees F and prepare the oven with a steam pan on the bottom rack. Slash the loaves with 3 diagonal cuts and place the pan(s) in the oven. Pour a cup of hot water into the steam pan, shut the door, and turn the oven down to 425 degrees F (218 C). Bake or 30 to 40 minutes, rotating the pan halfway through, until they are deep golden brown and the internal temperature is about 195 degrees F (90 degrees C). Cool on a wire rack for about an hour. Recipe adapted from Artisan Breads Every Day by Peter Reinhart. This is one of my all time favorite bread books. The croissant recipe in the book is my all time favorite. 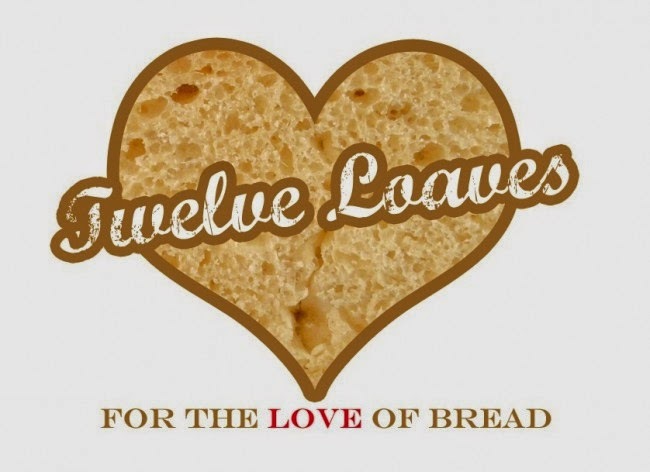 #TwelveLoaves was a monthly bread baking party created by Lora from Cake Duchess and runs smoothly with the help of our friend Renee from Magnolia Days. Oh good, at least I'm not the only one who loves burnt cheese. I'd pick off and eat every bit of it first. Then I might share the rest of the bread. Maybe. That makes total sense to me! It's pretty much a complete meal, right? Oh, that cheesy crust reeled me in, Karen! Lovely bread!!! Oh man! From your photos, I can literally hear the crunch of the outer crust as I take a bite. Great color too!!! What a delightful crusty cheese and onion bread, Karen. This looks incredible and I'd love a loaf for lunch today!! I just want to reach right out and nip all the little crunchy bits off. No one would notice, right? Gorgeous loaf, Karen! It was sooooo hard not to do that! Melted cheese, burnt cheese-- I love it all! I can see why your loaf disappeared quickly!! Ooooh this reminds me of a thick crusted artisan bread that I used to make very often, but this is way better. Everyone in my house is a fan of crispy cheese! Wow! Karen, this bread looks wonderful, I can see that it is crusty, the texture looks perfect! Yum - that looks so good, Karen! 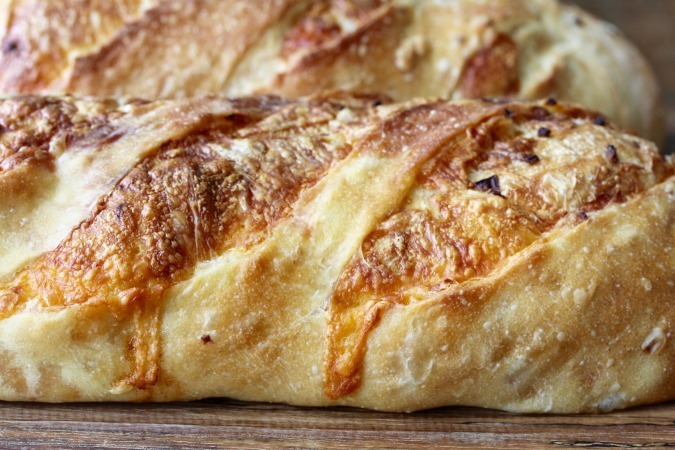 I've never tried a cheese bread..
You definitely are a giver, since I would have been burning my fingers to get some of that cheese from the loaf as soon as it was out of the oven. Such a beautiful bread!